A Brief History of Catania: Second largest city in Sicily by population, Catania spreads out over the plain, between the Ionian Sea and the slopes of Etna. The surrounding countryside, made more fertile by volcanic eruptions, is cultivated, for the most part, in citrus gardens. The close link of the city and the volcano is also visible in the buildings, many of which are built with lava stone. According to Thucydides, Katane was founded after 729 BC by Chalcidian settlers from Naxos, in the hill today called “of the Benedictines”. In the following century, the legislator Caronda gave the city a moderately inspired government, halfway between oligarchy and democracy. In 476 b. C., Catania was conquered by Hieron of Syracuse: the inhabitants were deported, only to return 15 years later, in 461. During the Punic Wars, the city was conquered by the Romans in 263 b. C., and was able to maintain a considerable wealth until the imperial age. After the decadence caused by the barbarian invasions and the Byzantine conquest in 535, the town was occupied by Muslims in the ninth century, who redistributed the land and gave impetus to the agricultural and commercial activities. Since 1071, with the Norman conquest, the cathedral was built as a church-fortress, and the estates were reinstated and assigned to the monasteries. What followed was an economic crisis that was even worsened by the earthquake of 1169. In the Swabian Age, late XII century and much of the XIII, Federico II built the Castello Ursino, 1239-50, in order to complete his fortifications in this part of Sicily, and as a symbol of his power. With the advent of the Aragonese, late thirteenth century, Catania, Palermo rival, was often chosen as the base of the court, and there was founded the Siculorum Gymnasium, the first prestigious Sicilian University. The great eruption of 1669 and the terrible earthquake of 1693, which struck the entire eastern Sicily and destroyed much of the city, annihilated an already difficult economy. Catania was rebuilt, and it spread considerably; then underwent a new agricultural crisis, before recovering yet again. It was elected provincial capital in the nineteenth century, returned to expand into new areas, until reaching, to this day, the current image of a modern city. 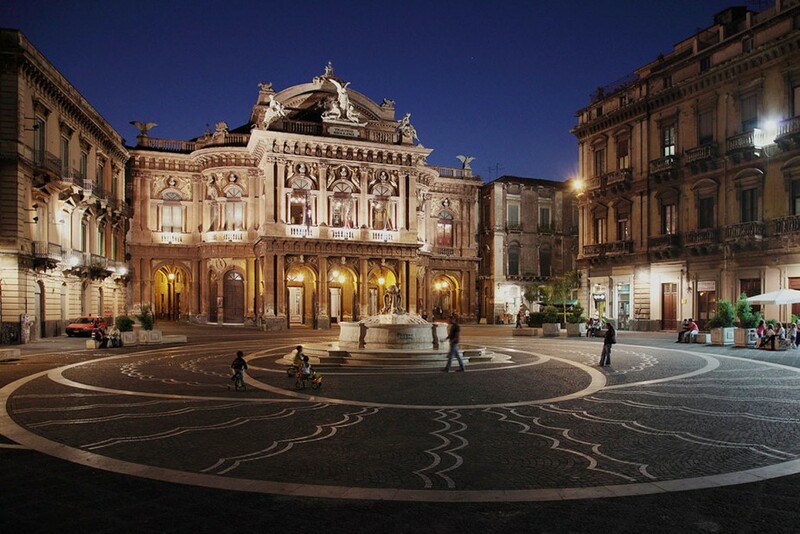 Tourist Spots: Catania is a city with beautiful landscapes and environmental characteristics. Located at the foot of Mount Etna, the largest in Europe, the city has become a must for the tourist visiting Sicily. 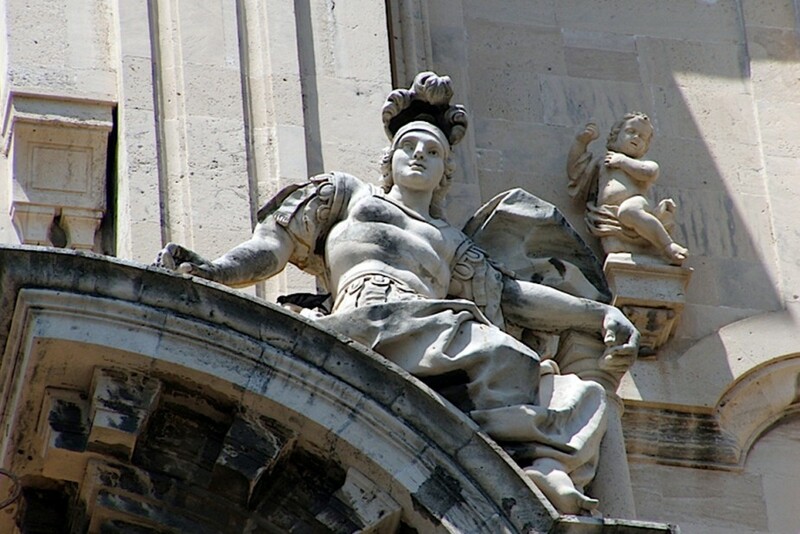 Among the main attractions we can include the Greek Theater, the Odeon and the ruins of the Roman amphitheater, the Cathedral of Catania, the Swabian castle, the Biscari Palace, the Monastery, the Church of the Benedictines, the complex of the Elephant Square (Piazza Duomo or Piazza dell’Elefante), San Giuliano Church, St. Agatha Church and St. Benedict Church. 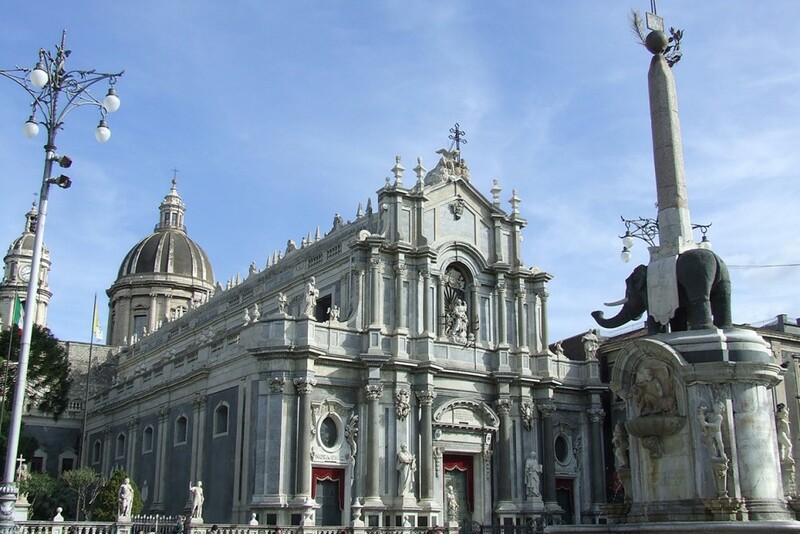 Catania, a city with an ancient history, is full of monuments and many beautiful things to see, moreover, in 2002, its historic center and seven municipalities of the nearby Val di Noto were included in the list of World Heritage Sites by UNESCO. 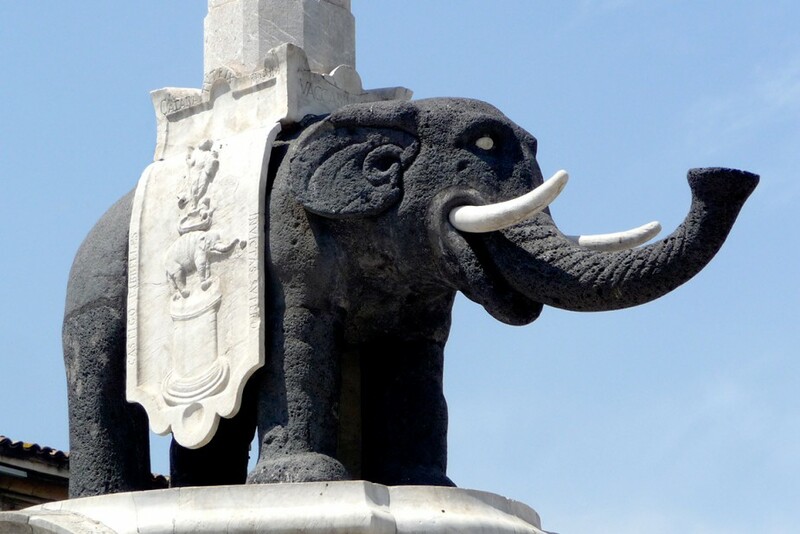 For those who decide to visit Catania and stop in town for a few days, we recommend the following attractions: the numerous historic buildings and monuments dating from the Roman period as the Thermal Baths, the Roman Theatre of Catania, the Amphitheatre and, in the Piazza del Duomo, the ‘liotru’ (the Elephant statue, the ancient symbol of the city built on lava stone depicting an elephant with an Egyptian obelisk); the beautiful Castello Ursino is memorable, which now houses the Museo Civico di Catania, where many exhibits are kept to testify to the troubled and long history of the city; many are also the baroque buildings (mostly concentrated in the historic center of Catania) that, from the beginning of the millennium, have been included in the lists to become a UNESCO World Heritage Site; the buildings were built in the eighteenth century as a result of an earthquake that destroyed the city. Among them we can mention the Cathedral of St. Agatha, the Abbey of St. Agatha, the Church of St. Benedict, the Palace of the Elephants (the town hall of Catania), Biscari Palace, the Palace Toscano and many other buildings. For those who love nature and walks it is possible to spend a day in the beautiful Bellini Gardens or in the Boschetto Plaia. Last but not least, the Mediterranean Reptile Museum, with unique and rare collections of various species of reptiles living in Europe and in tropical and exotic areas.